I didn't grow up in a huge town, but I wouldn't say I'm a country girl either (even though country music is amazing). Although I love vintage finds, my style isn't strictly old school yet not all the way modern either. 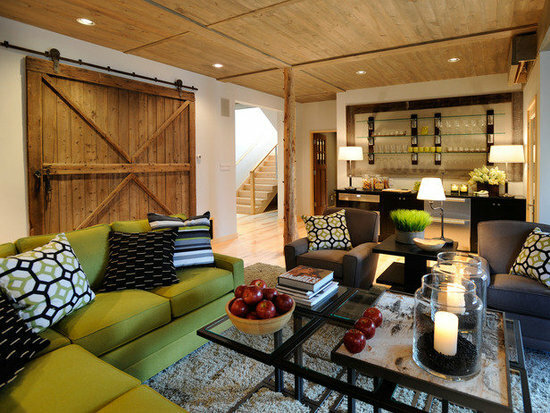 These charming uses for a barn door fall somewhere in between both categories and can be used in either modern or vintage settings. 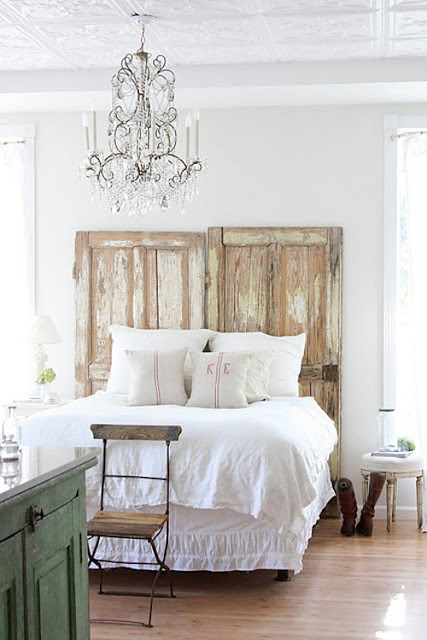 I just love the juxtaposition of the wooden doors and the elegant chandelier! Whether used as a creative accent headboard, sliding doors, or blinds each use is an excellent design!